Many members of the press have received invited to a Samsung event happening on 12 June in New York. The invitation has been suspected to be for a special launch purportedly for its new Samsung Galaxy Tab S line. 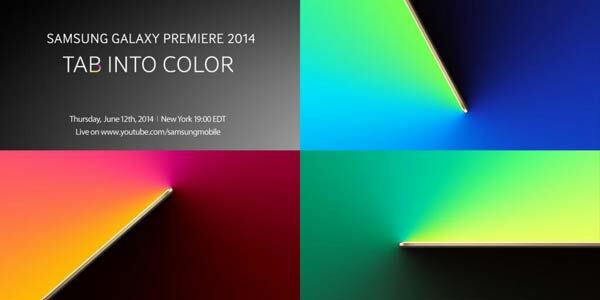 Bearing the tagline “Tab into Color,” suggesting that the event will be Galaxy Tab related, Samsung Mobile head J.K Shin confirmed the speculations in an interview with the WSJ. “ Samsung will launch a new line of tablets for the first time in New York on June 12 at Madison Square Garden as it attempts to catch up to rivals like Apple Inc.,” Shin said. 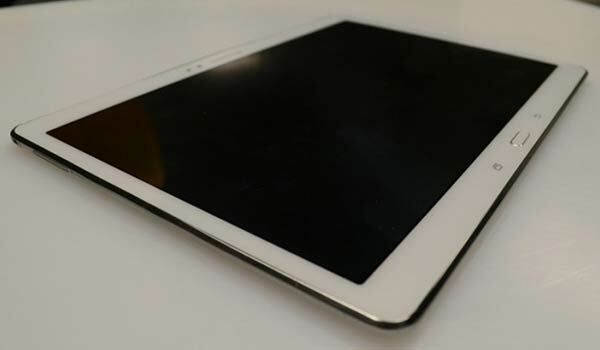 The headlining Galaxy Tab S will follow the recently confirmed trio of Galaxy Tab 4s, and according to the tablet’s FCC application which leaked images and details of the tablet, we are expecting to see a 10.5-inch super tablet with AMOLED display of 2560×1600 resolution at 287ppi. The slate will also feature an 8MP rear camera and a 2MP front-acing camera, whilst coming with Android KitKat with an overlay of Samsung’s Magazine UI out-of-the-box. The document also confirms that a fingerprint scanner will also be on board, though only covering the Wi-Fi only variant. Other tablets in the series include a smaller 8.4-inch and bigger 13.3-inch model, all sporting WQHD resolutions, which GSM Arena has exclusively detailed. This will be the first time we’ll see Samsung bringing out a 13.3-inch slate, even with its large portfolio of tablets, and we are excited to see how Samsung plans to market it. Shin also gave an update to the company’s Galaxy S5, stating that the device has accrued 11 million sales since launching last month.